For many of us – business owners in particular – tax season is not the most wonderful time of the year. It’s often stressful and tedious, and we’ve all experienced that last-minute scramble before April 15, tracking down receipts to send to our accountant or digging through documents to file on our own. But if you are an independent landlord, it’s worthwhile to shift your mindset about filing your annual tax return. You don’t have to enjoy it, but you can start to appreciate it by taking advantage of the many rental real estate deductions you’re entitled to. If you rent out one or more rental properties, the IRS allows you to deduct certain expenses from your income tax return. By maximizing your eligible deductions, you can reduce your tax burden and boost your profits for the year. 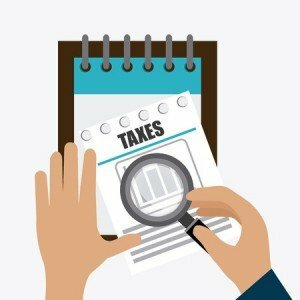 Here are nine of the most beneficial, and sometimes overlooked, deductions for landlords – as well as a few tips that will set you up for tax season success next year. The Treasury Department added that owners of rental real estate who spend at least 250 hours each year managing their property and keep detailed records will likely qualify for this deduction. You can deduct any ordinary and necessary expenses to manage, conserve and maintain your rental property. Ordinary expenses are those that are commonly accepted in your business; for example, you need to hire a contractor to fix a hole in the ceiling. Necessary expenses are considered appropriate for your business; for example, you pay for advertising to attract new tenants. It’s important to understand that improvements made to your property are not included in this category. Improvements that add value or longevity to your property must be capitalized and depreciated over time. Depreciation is a long-term strategy that spreads the expenses of buying or improving a rental property over the expected life of the property. Rental buildings are depreciated over 27.5 years. If you use part of your home to run your rental business, you can take the home office deduction. In general, the amount you deduct is based on the percentage of your home that you devote to business use. You’re allowed to deduct the cost of business-related professional services, such as the accountant who manages your books and files your taxes and the lawyer who reviews your rental contracts. Keep records and receipts for any travel expenses you run up while managing your rental property. If you use your personal vehicle to buy business supplies, make repairs or show the property to prospective renters, track your mileage for those activities. Compare the percentage of the mileage you use for your business to the total vehicle mileage, and use it to calculate other vehicle expenses like insurance, gas and maintenance. If you’ve paid interest on your rental property mortgage – or any other business loans – you can deduct it as a business expense on your tax return. Wages you pay employees, whether they are full-time, part-time or contractors, are deductible. Track those expenses, whether you employ a full-time property manager or an occasional fix-it person. Insuring your rental property is vital to your business, and you can deduct the premiums for most types of policies. Liability, theft, fire and flood insurance policies are obviously eligible, but you may also be able to deduct other premiums, such as health and workers’ compensation for your employees. Find a system that works for you and use it. Use accounting software, a spreadsheet or a simple file folder to track your expenses and deductions. It doesn’t have to be high-tech or complicated, just a process you will consistently maintain. Split the work into manageable steps. Ease your stress around tax season by breaking payments into monthly or quarterly installments. If you work with an accountant, set reminders to share documents in batches throughout the year. Think of your future self. As the business owner, you are the person who will ultimately benefit from taking control over your taxes. Take the time to understand your finances and how to benefit from every possible tax deduction. Your future self will thank you.